This Participant's Book is recommended for groups that will continue their study together for the full 28 weeks. Each week of study begins with an inviting and often challenging reading by a recognized author in spiritual formation. In addition to the weekly reading, this book provides questions and daily scripture readings to guide your private reflection. The week closes with a 2-hour group session where you share your thoughts, reflect together, and take part in diverse group learning experiences. 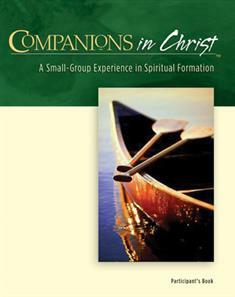 Companions in Christ offers a powerfully transforming small-group experience in opening yourself to God's presence and guidance. Explore classic spiritual practices, and develop new daily patterns that will open your life to a deepening relationship with God and with your group. This revised foundational resource features a new look and some refreshed content gleaned from years of practical application in congregations across the country. Overall, it's a rich, imaginative opportunity to new discovery!